In cherry or walnut. It's 11" or 14" long and 1-1/2" wide. One of my favorite tools. 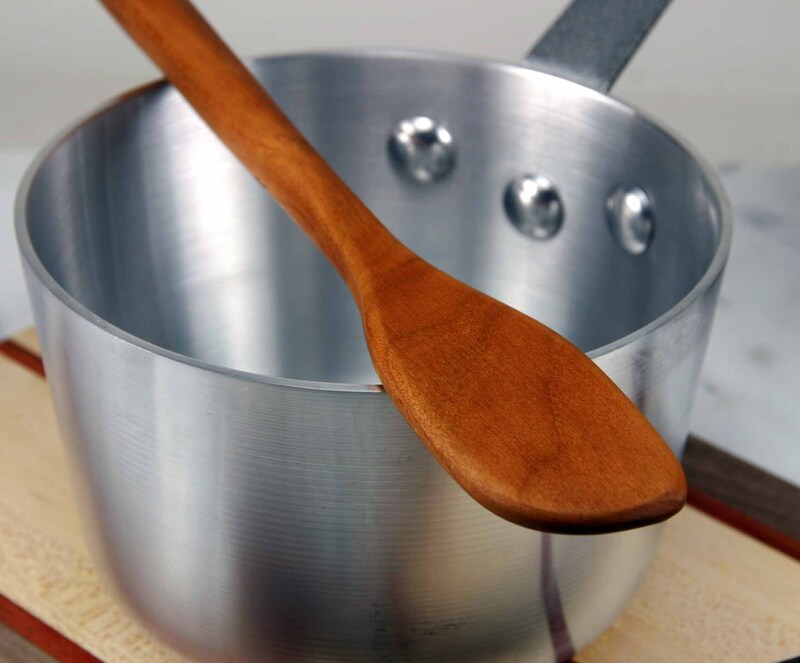 Made to use in small pans and pots. It all began with a late night Google search for one small "wooden measuring teaspoon," which so fortuitously led me to finding Steve at Mississippi Spoon, along with the beautiful handmade walnut (or cherry) utensils and other household items he so expertly creates. Pictures do not do this meticulous craftsmanship justice. Lightning fast shipping, mind-blowing work, and beautiful pieces which will make you smile every day for years to come. I am set for life, very pleased with all of my purchases, and it was my great, great pleasure to support this fine artist with my order. Thank you, Steve! Great size, beautiful wood. Well-shaped and perfectly finished. Great size and shape for stirring, oatmeal, etc. 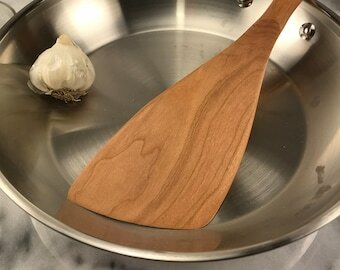 Short Stirring Paddle / 11"